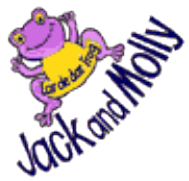 Jack & Molly present an educational, interactive show while drawing from their wealth of Early Childhood experiences. The children live the adventure through music, songs, costumes, learning sign and other languages along the way. We are dedicated to an Early Childhood philosophy and present live musical theatre for pre-schools, kindergartens, child care centres, children’s centres and playgroups, libraries and theatres. All our shows fit in with the Belonging, Being, Becoming – Early Years of Learning Framework – especially Outcome 2, 4 & 5. If you have not seen us before during our shows our focus is on the children and extending them via our tools of live music, theatre and storytelling. When we work with 4 to 5 year olds we focus on problem solving, inquiring, experimenting (Outcome 4/2) while with younger children we focus on their curiosity, confidence, imagination (Outcome 4/1) and sometimes these crossover of course! Our new show “Becoming Me” draws on this framework. We work extensively with 3 to 5 year olds and toddler experts say we have a ‘special gift’ working with under 3 year olds. Seeing the toddlers engage with music, props and songs is a real privilege. Thank you sooooo much for your wonderful show ‘Green Grows My Garden’. It was absolutely engaging and completely relevant to our kinder group. The children were kept dancing. Singing and play acting the entire show and I don’t think I’ve heard so much laughter in a long while. I enjoyed your smooth and genuine interactions with each other and with the children. It’s obvious you both love your job! We’ll definitely have you back again, and with 10 shows to choose from it’ll always be a new experience!! All the best. Just wanted to say thank you for an awesome show you gave the children last week. They still talk about it. The toddlers are even going to use one of your Christmas songs as one of their Christmas concert songs. Thanks again and see you next time. The Jack & Molly shows are not just about entertainment, they are performances of enlightened research & understanding of the musical needs & interests of children. As an early childhood educator I value the scaffolding of learning & the sheer delight that the performances bring to the children. Their productions are Fun, Respectful, Interactive, Enthusiastic, Nurturing, Dramatic, Sensory – the children are inspired to sing, dance, act, listen and respond to the musical pleasures from these two talented people. Thank you. ”We liked the jumping song, when crouched down low, turned in a circle and point your toe. We liked the snake story, when we got eaten when the teacher, Miss Jelly Beans wasn’t looking. I asked the group what they remembered and liked about your visit a week later and most of the children had a good recall! We were very impressed by the content and format of your show and want to congratulate you … ON A JOB WELL DONE!!!! !